EADV touts specific acne quality-of-life tools: EADV experts recommend six quality-of-life measures including the DLQI and Skindex-29 for acne treatment and research. A feasibility study for a triple-blind randomized controlled trial investigating the effects of oral isotretinoin on mood and quality of life in patients with acne vulgaris. Use of supplementary patient education material increases treatment adherence and satisfaction among acne patients receiving adapalene 0.1%/benzoyl peroxide 2.5% gel in primary care clinics: a multicenter, randomized, controlled clinical study. Silicone gel enhances the efficacy of Er:YAG laser treatment for atrophic acne scars: a randomized, split-face, evaluator-blinded, placebo-controlled, comparative trial. 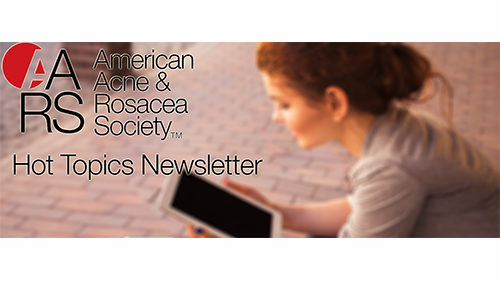 The preadolescent acne microbiome: A prospective, randomized, pilot study investigating characterization and effects of acne therapy. Pharmacokinetic comparison of once-daily topical minocycline foam 4% vs. oral minocycline for moderate-to-severe acne. Efficacy and tolerability of liposomal polyvinylpyrrolidone-iodine hydrogel for the localized treatment of chronic infective, inflammatory, dermatoses: an uncontrolled pilot study. Acne, sexual orientation, and mental health among young adults in the United States: A population-based, cross-sectional study. Demographic and healthcare service utilization by 4,417 patients with hidradenitis suppurativa. Dietary supplements, iIsotretinoin, and liver toxicity in adolescents: A retrospective case series. Use of polymethylmethacrylate (PMMA) microspheres collagen to treat atrophic acne scars. Incidence of hidradenitis suppurativa among tobacco smokers: a population based retrospective analysis in the United States. Increased suicide risk in patients with hidradenitis suppurativa. New treatments up the ante against acne.